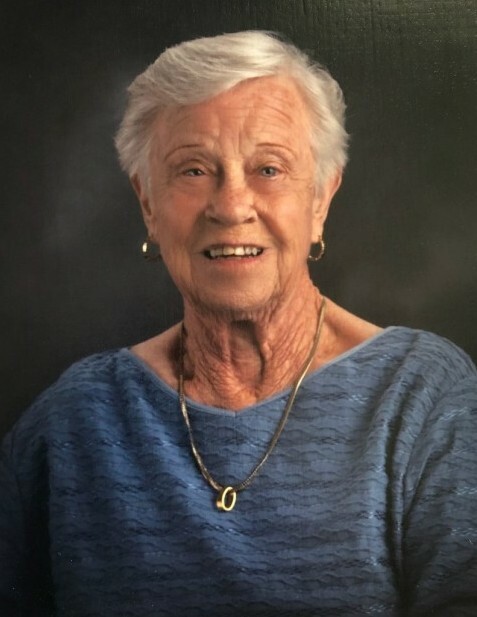 Edna L. Lang, 95, of Hillsboro, IL, passed away on Monday, April 15, 2019 at 11:05 p.m. at Montgomery Nursing and Rehab Center, Taylor Springs, IL. Visitation is on Saturday, April 20, 2019 from 10:00 a.m. to 11:00 a.m. at Bass Patton Dean Funeral Home, Hillsboro, IL. Funeral Services are Saturday, April 20, 2019 at 11:00 a.m. at Bass Patton Dean Funeral Home, Hillsboro, IL. Mark Noyes, Hillsboro, IL will officiate. Mrs. Lang, was born on September 17, 1923 in Gordon, Nebraska to the late Edward W. and Stella M. (Hopkins) Biltoft. She attended high school in Nebraska. Mrs. Lang was a secretary at Montgomery County Tuberculosis Department, worked for Ross Boones' Shoe Store, P.N. Hirsch, and Anderson's Department Store, all of Hillsboro, IL. She married Berton C. Lang on December 19, 1941 in Gering, Nebraska, and he preceded her on July 8, 1982. Mrs. Lang lived in Hillsboro, IL most of her adult married life. Mrs. Lang was a member of First Christian Church, Hillsboro, IL, Christian Women Fellowship, Grand Advantage, Meals on Wheels, and Rebekahs. Mrs. Lang is survived by two children, Gary Lang, St. Louis, MO, and Sharon (Husband Garry) Saathoff, Lake City, Fl; three grandchildren, Bret (Wife Gail) Saathoff, Kaukauna, WI, Todd (Wife Dianna) Saathoff, Collierville, TN, and Nick (Wife Heidi) Lang, Troy, MO; five great-grandchildren, Ashley and Cole Saathoff, Kaukauna, WI, Zachary Saathoff, St. Louis, MO, Katelyn Saathoff, Ontario, Canada, Joseph Lang, St. Louis, MO; and special friend, Teresa McHenry. Mrs. Lang was preceded by two brothers, Carl Biltoft and Louis Biltoft, and two sisters, Emma Rogers and Mildred Palmer. There's still time to send flowers to the Visitation at the Bass Patton Dean Funeral Home from 10:00 AM to 11:00 AM on April 20, 2019.